Military Advocate General orders investigation into two incidents in which Gaza Arabs were shot to death along border. The Military Advocate General, Major General Sharon Afek, ordered Military Police to investigate two incidents in which Gaza Arabs were shot to death by IDF forces. The first incident took place on March 20, 2018: Abd Al-Nabi Miri was killed by IDF fire near the security fence east of Jabalya. The second incident occurred on July 13, 2018: Otman Halas was killed by IDF fire near the security fence in the area of the Karni crossing. The decision was made after examining the command debriefings, the findings of the General Staff's debriefing unit and the information received by the IDF, in view of the suspicion that, in these incidents, shooting was not in accordance with the IDF rules of engagement. Upon completion of the investigations, their findings will be examined by the Military Advocate General. 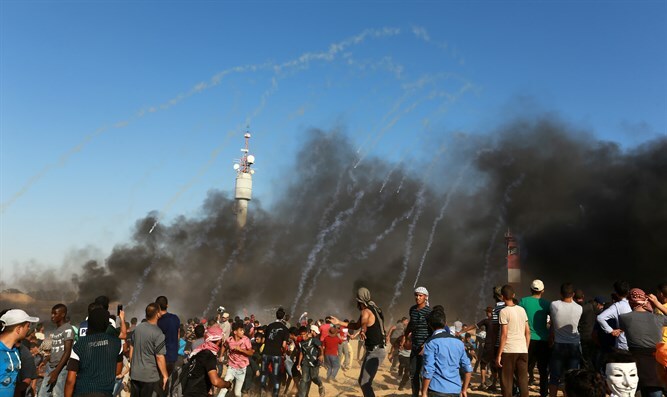 The IDF Spokesperson said that "The General Staff debriefing unit continues its activity to investigate the events and its findings are being transferred to the Military Advocate General's Office."